The Aimpoint ACO (Aimpoint Carbine Optic) is the Patrol Rifle Optics budget alternative. It’s a lot of optic for the money and gives you the same user experience (if you don’t use night vision) as the PRO, but you lose certain things. It has a perfectly good mount, but it’s not the autotensioning QRP you get with the PRO. The sight comes without lens covers and the adjuster caps aren’t held on by rubber straps. The battery life is less at 10,000 hours vs 30,000 for the PRO from the single DL1/3N battery. 10k hours is still massively more than most competitors in the ACO’s price bracket. Both sights take 30mm mounts so the choice of mounts is massive. The standard mount gives absolute cowitness on the AR15 platform. 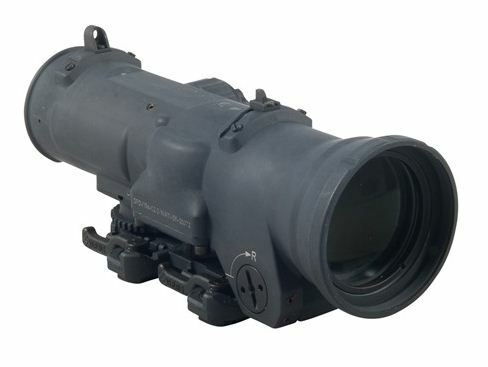 The Aimpoint ACO is not rated as submersible – only waterproof. The PRO weighs 7.8 ounces all in. The ACO 2.5 ounces lighter. As it lacks NV compatibility. The Aimpoint ACO scores over the PRO for daytime only users in having 10 day settings. 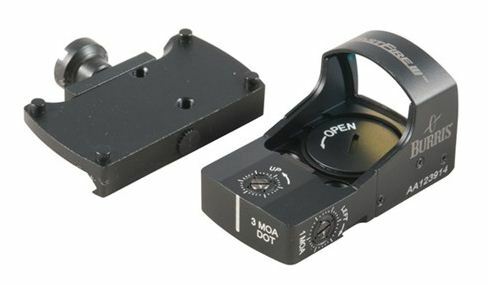 The 2 MoA dot clarity is the same as all Aimpoints, with a slight blur when you use it with a magnifier. This is an optic you can trust on a home defense rifle – it has the ruggedness Aimpoint build in to all their products. The Aimpoint Carbine Optic comes in at around an eighth less than the PRO. It’s up to you to decide if that trade-of is worthwhile. The Trijicon SRS Sealed Reflex Sight is an ultra-rugged reflex sight with the unusual feature of solar panels in addition to the standard supplied AA lithium battery. This typically gives a battery life of over three years at a setting of 7 at a temperature of 70 degrees F. The SRS’ 1.75 MoA red dot automatically adjusts in brightness conserving battery power when in battery low light mode. The sight has ten brightness settings, including three for NV. It is a little taller and quite a bit heavier than other manufacturer’s offerings at 10.9 ounces and 3.75″ L x 2.5″ W x 2.4″ high, but is brutally rugged, waterproof to 50 meters depth and will hold zero no matter what. Part of the size is due to the massive 38mm objective lens – this gives a field of view of 69ft at 100 yards with 4 inches eye relief. 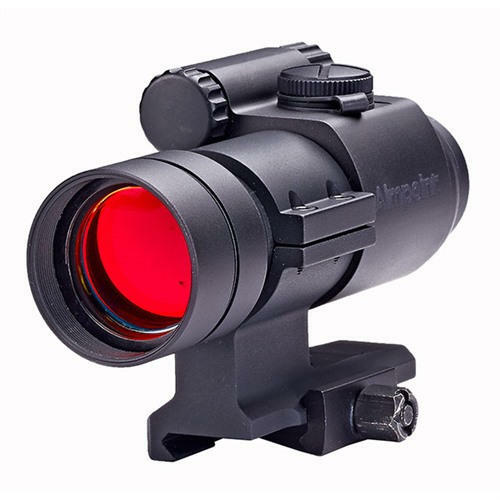 This compares to the Aimpoint PRO, for example, with a Field of View of 30ft at 100 yards. Some users have experienced a minor annoyance at seeing the reflection of the diode that makes the red dot, but this only becomes annoying of you really focus on it, in precision work on the range, zeroing etc. This has been improved in more recent Trijicon SRS sights by an improved internal coating – Trijicon will upgrade your SRS if you return it to them. Another alternative is the ARD, but this is another £120 and gives a “looking through a screen door” effect that not everyone can get on with. The Trijicon SRS comes with the usual two knurled screw Picatinny mounting, A quick release version is available. The Trijicon SRS is short, taking up little Picatinny rail space. Purchase a Trijicon Sealed Reflex Sight 892-000-097WB SRS W/ FLATTOP MOUNT or Trijicon Sealed Reflex Sight 892-000-098WB SRS W/ QUICK RELEASE MOUNT at Brownells, a name you can trust. 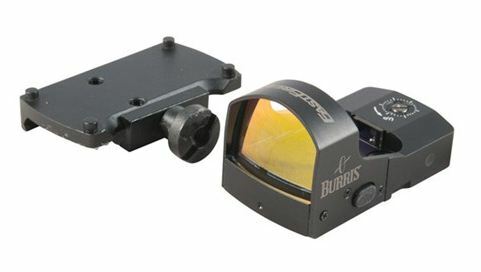 Smaller, lighter and more compact than most red dot sights, the new Burris FastFire III is extremely strong and durable, with a frame made of stainless steel, bronze and anodized aluminum. Because of its small size and weight, the FastFire III can be mounted directly on virtually any weapon, including on the slide of larger caliber semi-automatic pistols. Because eye relief is unlimited, the FastFire III can be used on handguns, rifles and shotguns. Low magnification provides an extremely large field of view, and the FastFire 3 is virtually parallax free from 10 to 150 yards. 3 MoA and 8 MoA dot versions are available. A special reflective coating is sandwiched between two highly polished lenses which protects the narrow band reflective surface from scratches and abrasions. Outside surfaces of the lenses are fully coated for maximum light transmission. An automatic shut off after eight hours saves batteries. Adjustment within its 3 degree (190 inces at 100 yards) field of view can be made with a coin. The reliable new FastFire III is 100% sealed against water and is submersible. An automatic shut off after eight hours saves batteries. Sight Window – 21mm x 15mm; .82” x 59”. Elevation adjustment range – 3 degrees or 190” @ 100 yards (524cm @100m). Windage adjustment range – 3 degrees or 190” @ 100 yards (524cm @100m). Set value for one scale division – 1 MOA or 1 in @ 100 yards with 30 clicks per revolution. Subtension of the aiming dot: 3 or 8 MOA. Recoil resistance – At least 1000 G.
Operating Temperature Range – -10oF to +130oF (-25oC to +55oC). Storage Temperature Range –-40oF to +160oF (-40oC to +70oC). Power Supply – 3V with one CR 1632 Lithium battery. Dimensions – 1.9” x 1.0” x 1.0” (48.2mm x 25.4mm x 25.4mm). Weight 0.9 ounces (25 grams). Purchase a Burris Fast Fire III at Brownells, a name you can trust. 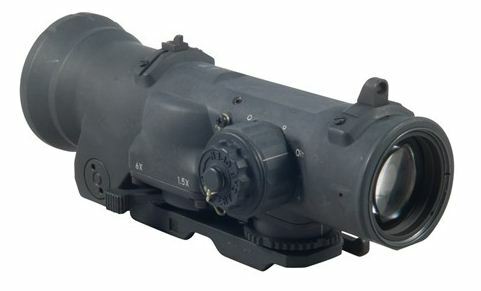 The ELCAN SpecterDR 1.5-6x is the second evolution in the family of Dual Role optical sights. Based upon the battle-proven SpecterDR design, the SpecterDR 1.5-6x provides higher magnification to enable greater precision and longer engagement ranges, while at the same time providing exceptional field of view in CQB mode. The SpecterDR 1.5-6x enjoys ELCAN’s famous crystal-clear optics as well as a generous eye relief, making it the ideal instrument for designated marksman rifles and other long range applications. As with all SpecterDR sights, the magnification and field of view can be changed instantly with the throw of a lever with no change in eye-relief. Depending upon the situation, the user may adjust the sight to illuminate the crosshair or just a brilliant red dot in the center. Because the reticles are etched in glass, they are plainly visible even in the case of loss of electrical power due to battery failure or EMP. The SpecterDR family offers the best single solution for Long Range and CQB engagements and is designed to withstand the rigors of modern professional use. Calibrated for the M-80 7.62 NATO round. Purchase an ELCAN SpecterDR -1.5-6X at Brownells, a name you can trust.